Here are some groups of words that commonly occur in Problems, with examples. Here is some information about the way the information is shown. Here are some groups of words that commonly occur in Problems, with examples from different disciplines. Click on Instructions for more information about the format. The answer to a legal Problem Question is written as if you were giving legal advice to a client. The client may be a defendant (the person or company that is accused or who is responding to a complaint), or a plaintiff (the person or company that is making the accusation). The Analysis section is the most important part of the answer because it demonstrates that you know how to apply the law. The tasks below will give you more information about the structure of Problem Questions. Look at the Sketch Engine listing for "argued that" and look at the way the sentences are structured. Drag the words around to make correct sentences. Look at the Sketch Engine listing for "a real possibility". You will see that two structures are possible: "a real possibility that ..." and "a real possibility of ...". Choose the correct form. Look at the Sketch Engine listing for "a real possibility" and "likely that". Choose the correct phrase for the sentences given. Two common phrases in Problem Questions are "argued that" and "held that". Can you tell the difference? 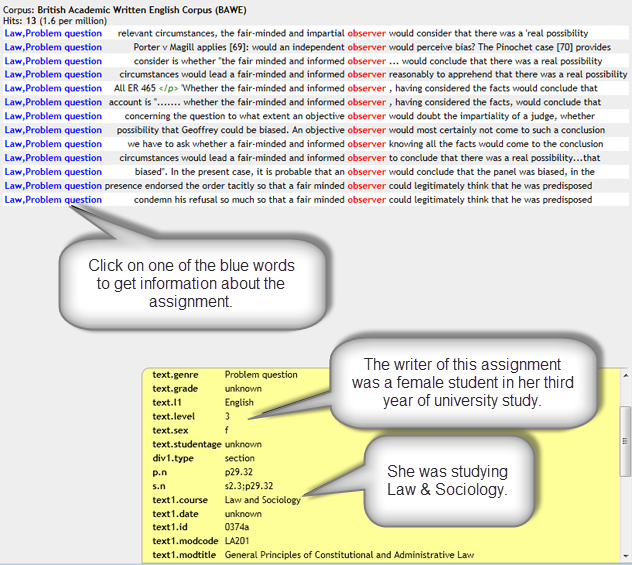 Drag the sentences into the correct box to check. Peter has already answered this same question on a different page. Please do not post your questions on more than one page. To complete these sentences, I'd suggest you look up 'intensify' and 'extend' in the dictionary - this should help you make a choice.